Brown rice is better for you than white — most of us know that! It’s The majority of consumers typically choose white rice over brown rice because of the difference of appearance. While it is true white rice looks so much more delicious than brown rice, it doesn’t mean it’s the healthier alternative. According to a study conducted by the American Journal of Clinical Nutrition, brown rice is the top choice in terms of both nutritional and other inherent healthy benefits. Good for Diabetics as Brown rice helps stabilize blood sugar levels; therefore, it’s an excellent food choice for those suffering from diabetes. Studies show that those who consume one half cup of brown rice daily reduce their risks of developing diabetes by 60%. On the other hand, those who consume white rice regularly increase their chances of developing diabetes 100 fold. Promotes Weight Loss -The fiber content of brown rice keeps bowel function at its peak since it makes digestion that much easier. Brown rice is the perfect addition to the daily diet for those seeking bowel regularity. Good for Heart & Cholesterol – Brown Rice is Whole grain and Wholes grains are proven to reduce the buildup of arterial plaque and reduce the risk of heart disease and high cholesterol. Naturally occurring oils are beneficial for the body as these healthful fats help normalize cholesterol levels. It is Perfect Baby Food due to the dense natural nutrition and fiber it contains. Reduces intake as early signal of tummy full- Brown rice also makes the tummy feel full which translates to smaller meal portions. Helps in constipation as natural digestibility of brown rice coupled with the high fiber content can help sensitive digestive systems. 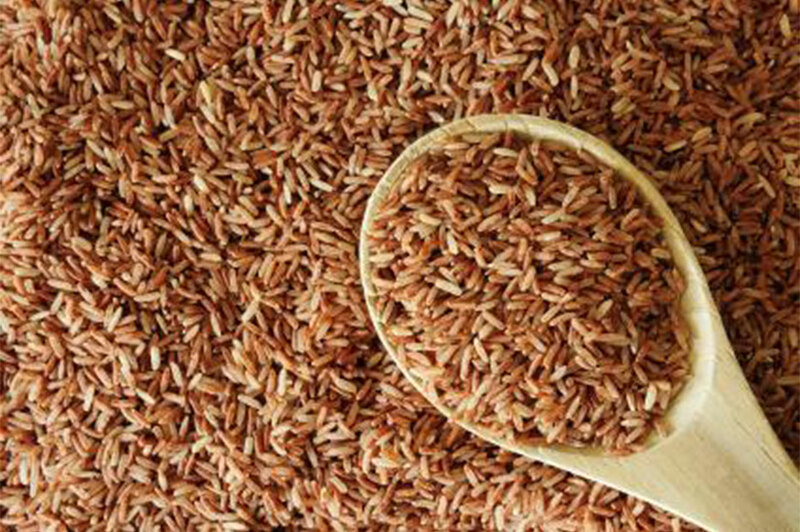 Rich in Anti-Oxidants - This is one of the best kept secrets regarding brown rice. Good for Fats Management And reproductive systems - as it contain Manganese it helps the body synthesize fats. Manganese also benefits our nervous and reproductive systems. Means Brown Rice keeps the Body Healthy and Energetic all the way. Pacific Herbs is the single source destination for high grade Indian herbs, natural herbs, herbal extracts and dried flowers.